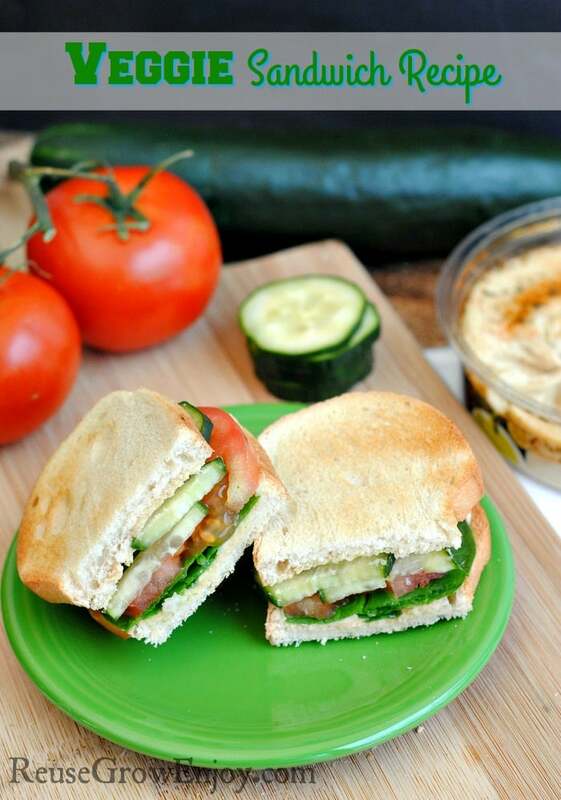 Nothing like the taste of a fresh veggie sandwich! There are just endless options you can go with. I mean just think about all the different types of vegetables out there and all the different combinations you could do. 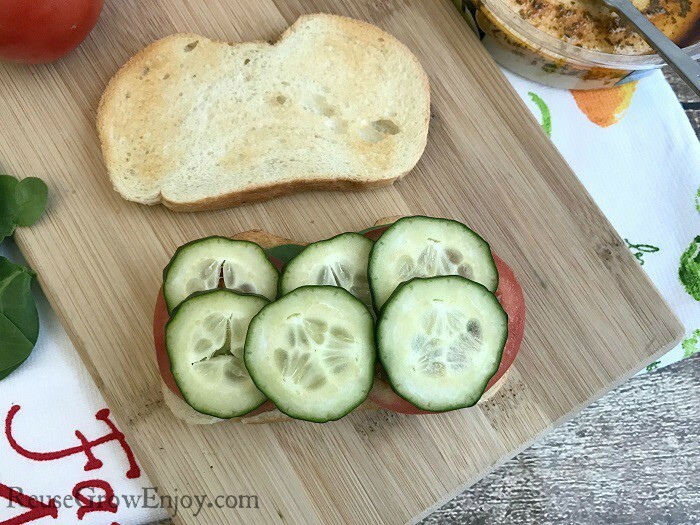 If you love fresh veggies as much as I do and want to change it up from your everyday salad, below you will find a veggie sandwich recipe to try. This recipe has a twist that most others do not. It was made without mustard, salad dressing or mayo on this sandwich. Ok, now I am sure you are asking but what do you use to make it moist?? 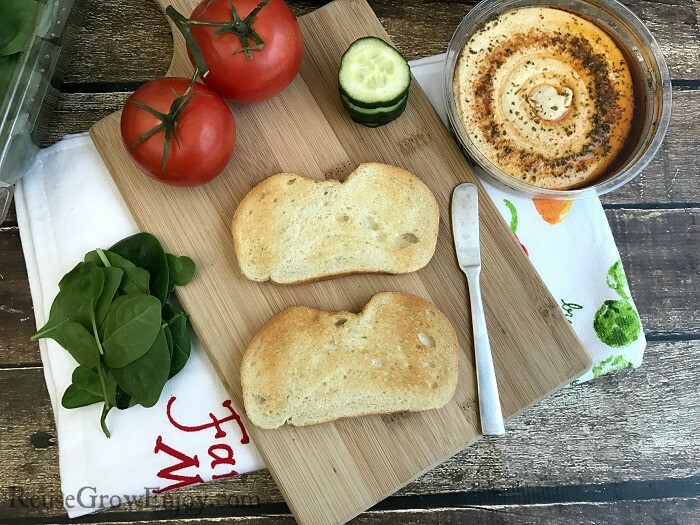 Well, the secret ingredient is hummus!! 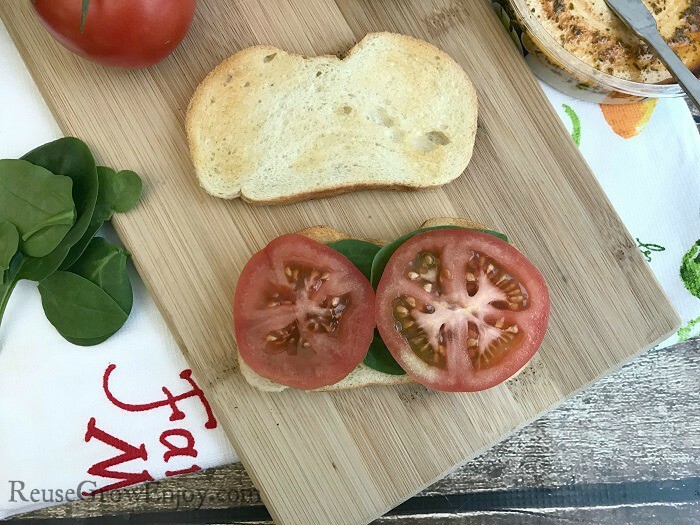 While this veggie sandwich is made using tomatoes, cucumbers and spinach you can change it up to whatever your favorite veggies are! 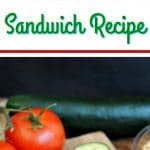 If you liked this sandwich recipe, here are a few other recipes to check out. Lightly toast your bread and let cool. 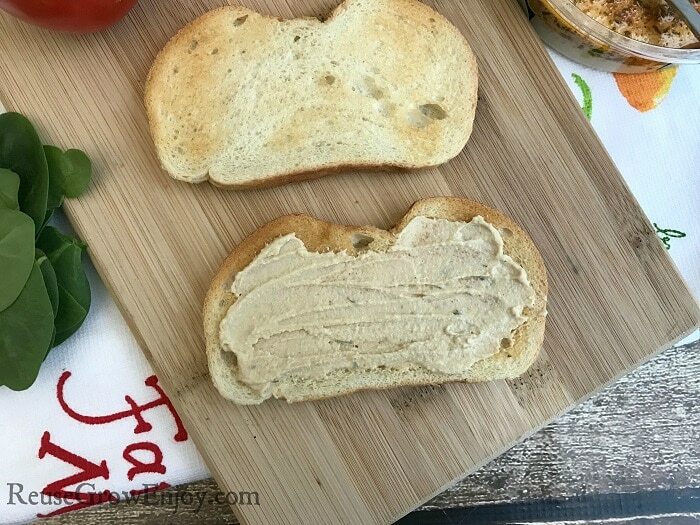 Spread hummus on the first slice of bread. 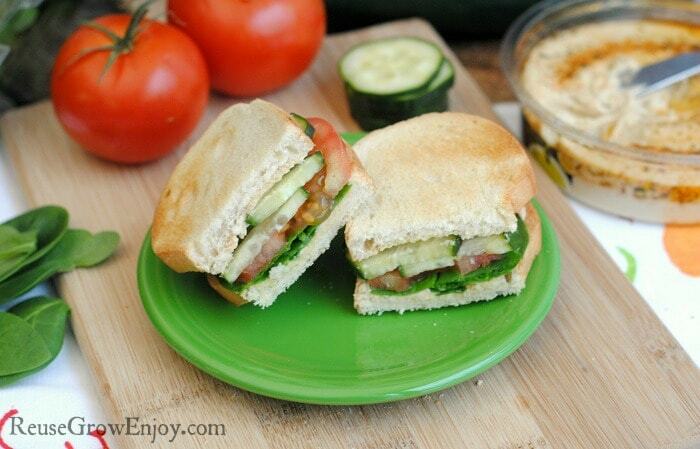 Layer with cucumber, baby spinach and tomato (and onion, if using onion). 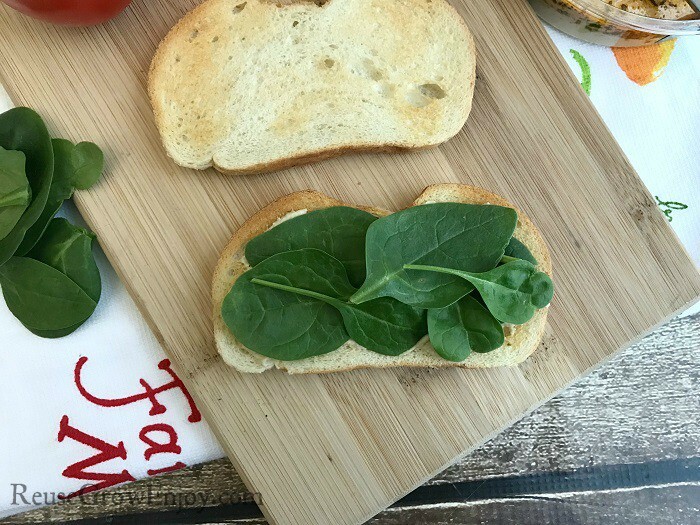 Place the second piece of bread on top and enjoy!